← Do you have a minute? Ever struggle with something? A something that you strive to hide kind of thing? Something that is so in your face on a daily basis; so out-there-for-the-world-to-see if you do nothing about it… For those of us with Psoriasis or skin conditions like it, it’s a daily reality. It’s a daily reality for me and has been for 12 years. My Psoriasis was triggered by my first pregnancy. A joyful time quickly became one wrought with focus on spoltches and patches that itched and bled, splotches that made this new mom want to avoid being in pictures with a darling newborn, splotches that were more than uncomfortable, more than annoying, more than unsightly — they were embarrassing and infuriating. almost more so than the lingering baby weight, because at least that had a recognizable root cause and at least that I could do something about. Even with dermatologist prescribed lotions, salves, shampoos, ointments, tablets and treatments, my skin didn’t improve. So, I decided to accept the hand I was dealt, put my best face forward, even though that face has some significant patches of the dreaded PS. This is the story of many with PS, and there are MANY of us. According to current studies, as many as 7.5 million Americans have psoriasis: that’s approximately 2.2 percent of the population, which matches the current trend worldwide. At least for me, at least with time, Psoriasis and Psoriatic Arthritis have given me the gift of a perspective that even my cancer didn’t give me. This skin I’m in is some crazy skin; it’s thin, it’s thick, it’s sheds, it hurts, it responds to stress and loves the sun. This body is wrought with daily pain, with twisted joints and knarled fingers, with aches in odd places and swelling and heat. This body betrays me as boldly as it supports me. And this dis-ease the same. I am, all at once, thick skinned and vulnerable; able to bear great pain and be brought to tears with a feathers touch; a lover of the sun and a hater of bearing my skin in the light of the world. I have hands that were once angels on the strings of my harp and lighter than air on the keys of my flute… they painted and drew and scribed… I made a living for years in the arts. And now I have to fight to find enough strength to pull on a pair of pants (never mind zippers and buttons most days), wash my hair, brush my teeth, sign my name, use a fork and knife. But there is enough strength and it is a gift. After years of this life, in this body, I am stronger in many ways than I was before. When I wake every day, I am grateful and thankful for the pain in my hands because I know that they are still there and that I am. When I wash my face at night and clear away the powder that shields me from stares, I see a survivior. When I find new ways to access joys of old, singing bowls to make music and paints instead of pencils… I thrive. I have never been a mouse and I wouldn’t say that I have ever been ashamed of my skin badges, but when, day in and day out the eyes of the world gaze upon the imperfections there is a longing for sameness, for that same skin that you’re in, so you don’t look at me as less than, as weird, as sick. So, I powder my face pretty perfectly and tend to wear long sleeves and long pants even on the hot days at the gym… because it’s easier than having to muster up the energy to address the stares and glances. But the greatest gain I’ve made in these 12 years is that I have come to love the skin I’m in. I am courageous because of it. I am healthier because of it too, from my approach to nutrition and exercise to stress relief and self care, even to how I manage work and relationships. With another Valentines Day just a hair behind us, I thought it a fine time to acknowledge that loving our imperfections, our pains, our hot spots and those things that we hide away from the world is healing. In the Psoriasis community, PS is short for psoriasis/PsA for Psoriatic Arthritis. So, here I am, PS and PsA. I love you. I love you for what you have brought forth in me, for showing me my strength and creativity and passion and purpose. I would gladly accept complete health, freedom from pain and joint damage and clear, glowing, gorgeous skin in a heartbeat. But, I accept all of me, happily. What is it in your life that you’re shuffling to the side and hiding? What aspects of you make you unsure about your worth? Look at them! Sit with them and chew on them and see if you too can find some light in those dark places. I bet you’ll be surprised by what beams out of the broken places, and by what can grow when you give it a little water and sunshine. For me, it’s PS, I love you. It’s freedom from the fear of falling into the darkness of dis-ease. Be brave now… peek into your darkness and peel back a layer… do it with love… and let me know how it goes. 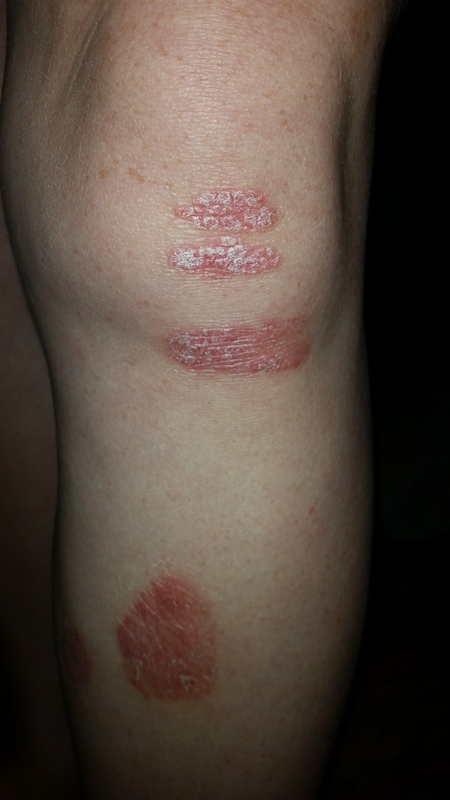 This entry was posted in attitidude, health, perspective and tagged psoriasis, psoriatic arthritis. Bookmark the permalink. It is great to see the blessings in everything that happens in life. That change in perspective helps to shift my attitude about challenges. I’ve found that my food intolerances have taught me to trust my body and to care for myself. I am now conscious about the food I eat and I make choices that nourish me. This post is truly inspiring. I find that people that deal with hardships on a daily basis have more to share with the world. Most of life is not what happens, but how we view what happens. Having a positive perception of our hardships is something that takes practice, but its so vital! It’s so great that you have embraced your body just the way it is. I believe that we can use our mess and turn it into our message. I love your positive outlook. Have you ever looked into some holistic ways to try to heal your psoriasis? I have some tips for you if you are open to it! Oh my! Great post, great writing, and unbelievable heart you have. Thank you for sharing it. You are a true inspiration. What a great reminder to view our trials and tribulations from a place of gratitude. I’ve done this with the big health challenges in my life (infertility for me) but not necessarily with those that I “hide,” as you put it. I’ll be thinking about this in depth. Thanks again! Blessings to you! We sometimes forget that our attitude toward things, especially adversity or illness, really does have an impact on our health. What an inspiring outlook you have. You truly are an inspiration!